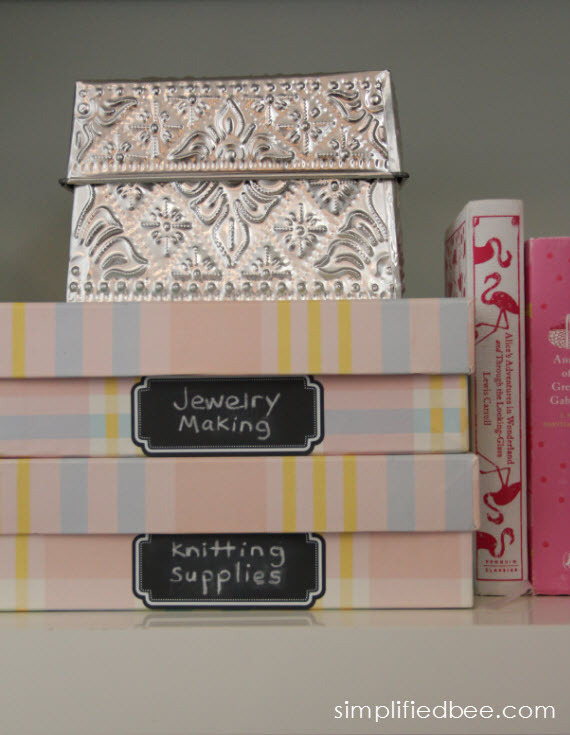 The scalloped chalkboard labels are fabulous and the fact that they are reusable is the best! Just write, erase, and write again! 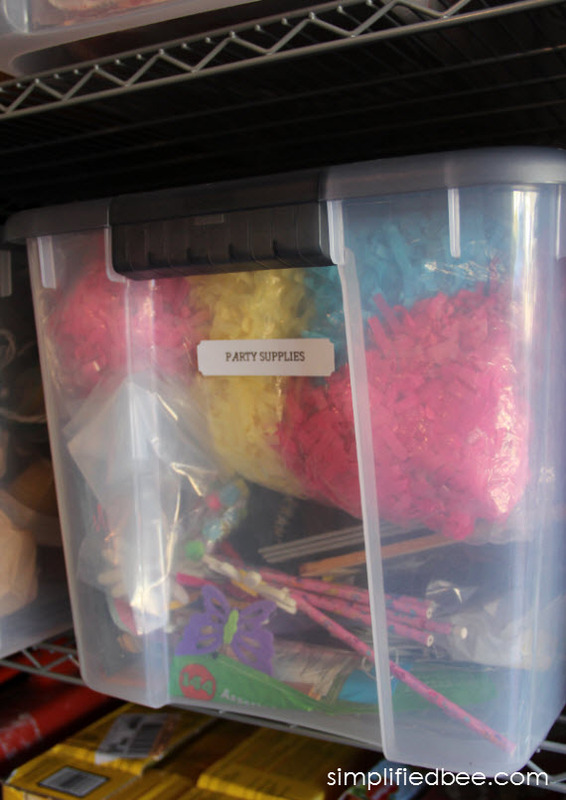 Our garage recently got a little makeover, so the durable labels for all the bins came in very handy. I printed them out using an easy to use template at Avery. 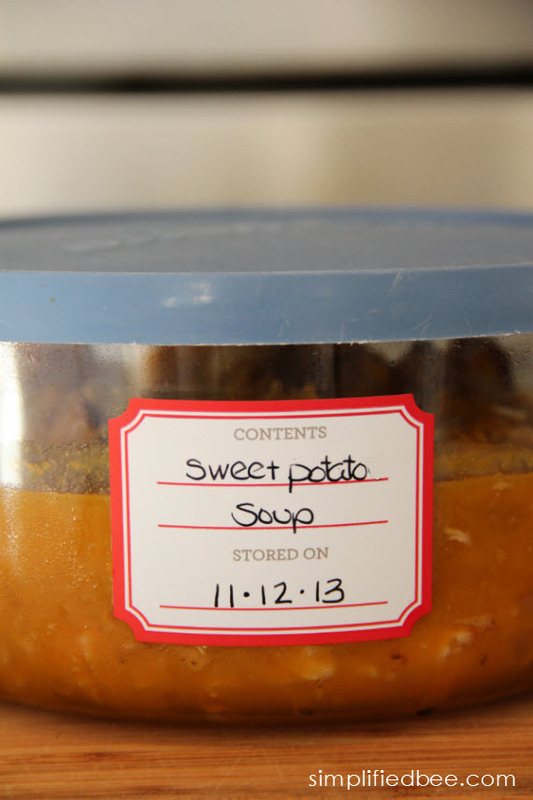 This freezer and dishwasher safe label is perfect for leftovers. The Martha Stewart Home Office with Avery offers a variety of festive mailing labels for the holiday, but this one with gold detail went with the Christmas card I already selected! 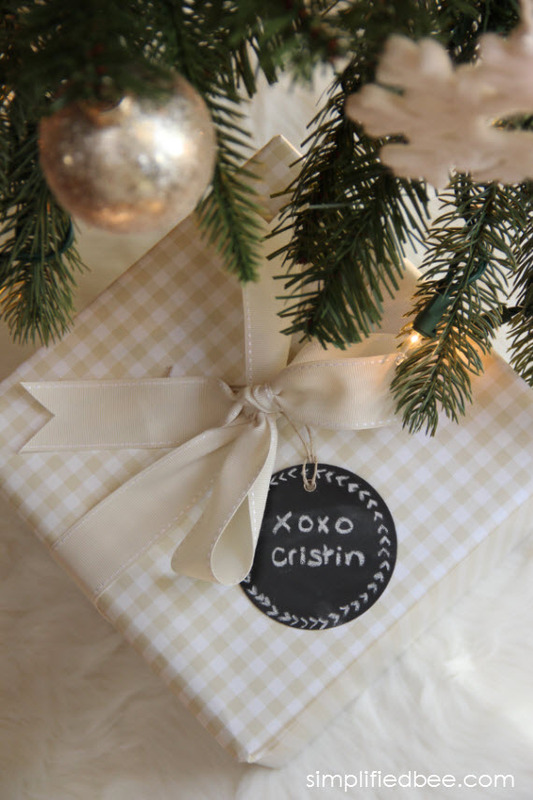 And how cute is the round, reusable chalkboard label? I’m using it here as a gift tag. Love it! Inspired to get organized too? If so, Staples is offering a 40% off coupon on any one Martha Stewart Home Office with Avery product in store, or $4 off $10 at staples.com – now until November 16th. 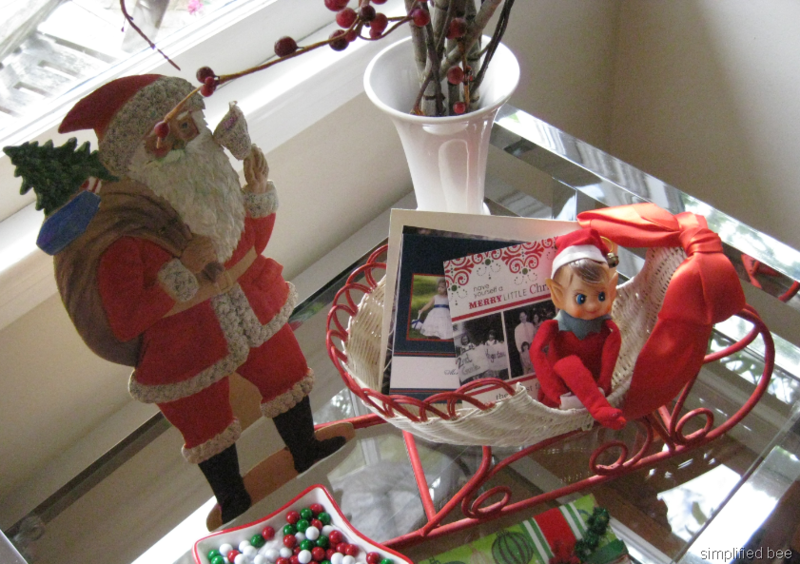 Receiving Christmas cards from family and friends is one of the big highlights of the season. We collect and display ours in a vintage wicker sleigh. And we have done it this way for several years. 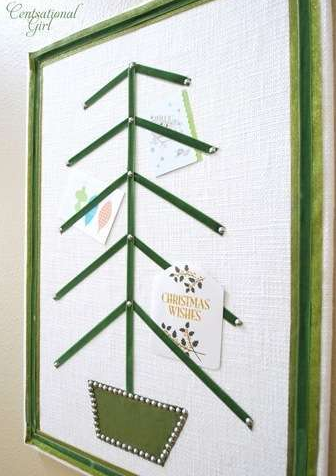 But after researching this post for a Simplified Bee reader who asked for creative ideas for displaying holiday cards, we might have a different approach next year. 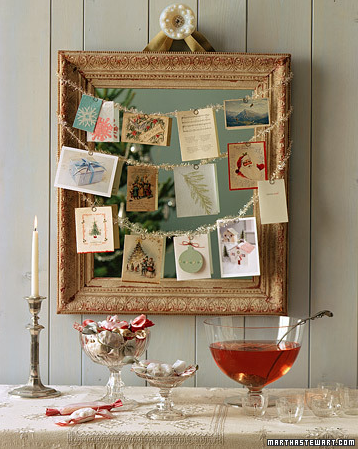 Here is a simple and elegant way to display holiday card using an existing mirror. Martha Stewart used Lametta tinsel to create three swags perfect for hanging season’s greetings. 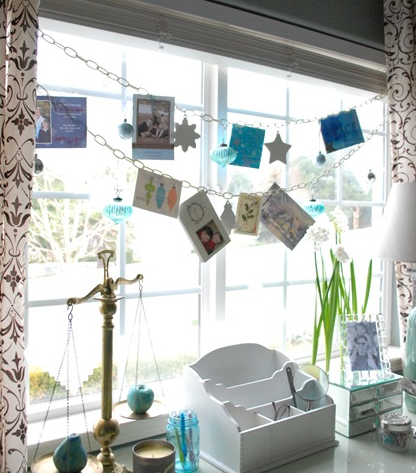 Using a picture frame and twine, holiday greeting cards are displayed beautifully with other festive décor. Thank Country Living for this idea! 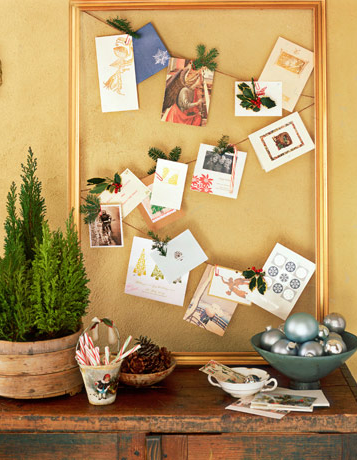 Hang Christmas cards along a fireplace mantel with twine and colorful clothes pins. So simple! DIY or purchase a kit on Folksy. 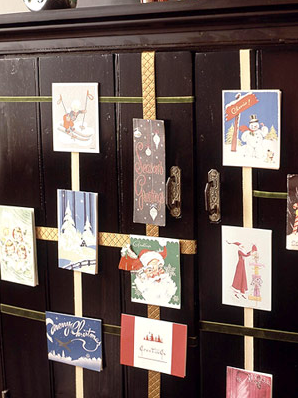 With a little ribbon crisscrossed, this cabinet becomes a wonderful place to display cards. Brilliant idea found via Living Livelier. 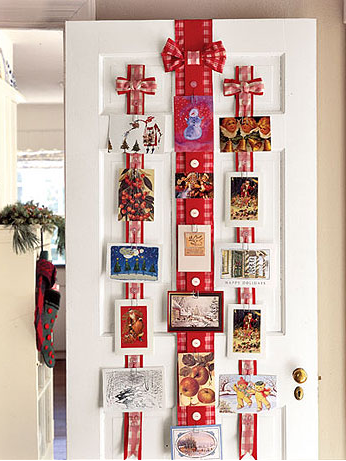 Hanging cards on a door with decorative ribbons is also a fun idea. 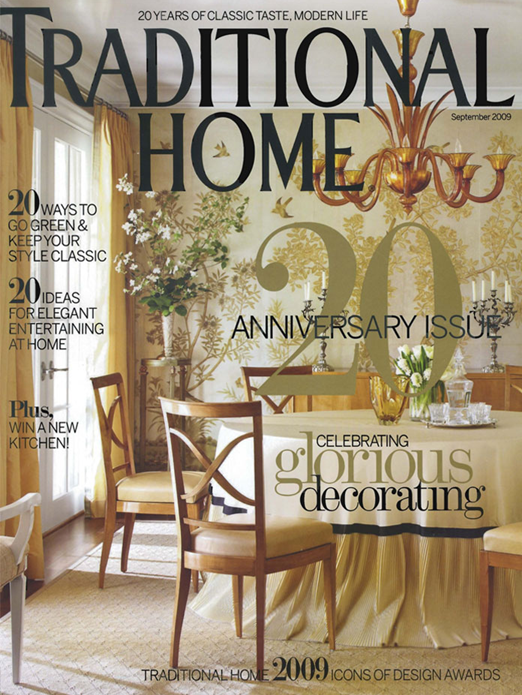 Here is the how to via Country Living. 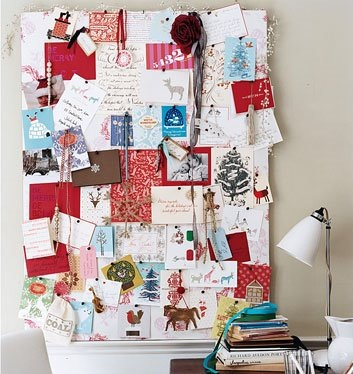 For an eclectic look, layer holiday cards on an existing cork board is also a great idea. This one is from Domino via Centsational Girl. Love Kate at Centsational Girl’s corkboard turned card holder using fabric, ribbon and a little nailhead trim – just add some time and it is a simple diy project. Here’s the how to. 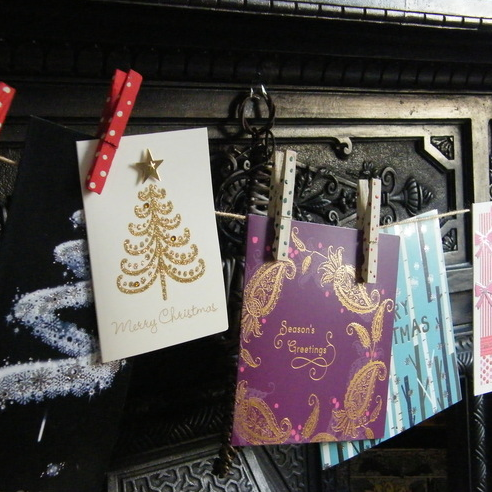 And here is Kate’s chain & jingle bell Christmas card display from last year. Isn’t this creative too? Here’s how she did it with even more inspiration! We love to read them. We agonize on purging them. 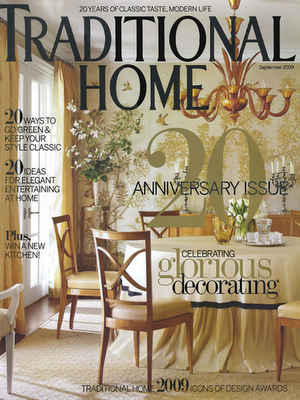 According to the Magazine Publishers of America, only 20 percent of magazines are recycled from the home. 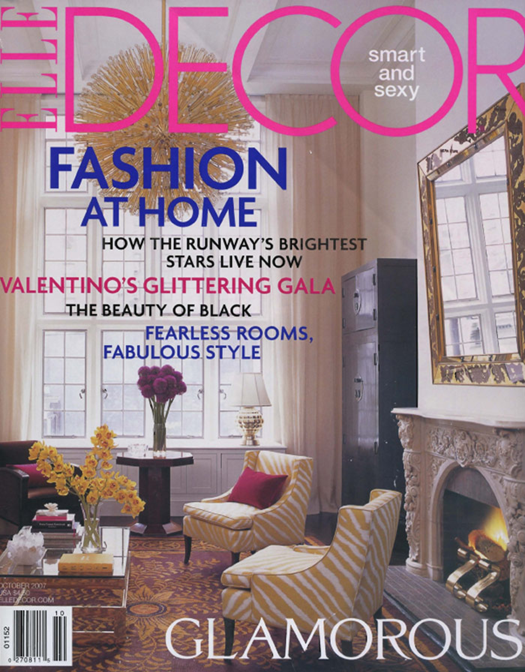 Once recycled, magazines cannot be used to make new magazines. 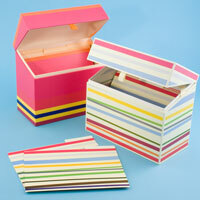 However, they do help to make newspaper, tissue, writing paper and paperboard. Many consumers are afraid to put magazines into paper bins, but the glossy paper does not contaminate paper recycling. 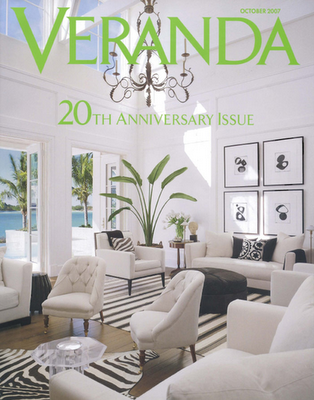 Magazines are now accepted by all curbside recycling programs that collect paper. Find out more about your local recycling program using Earth911. 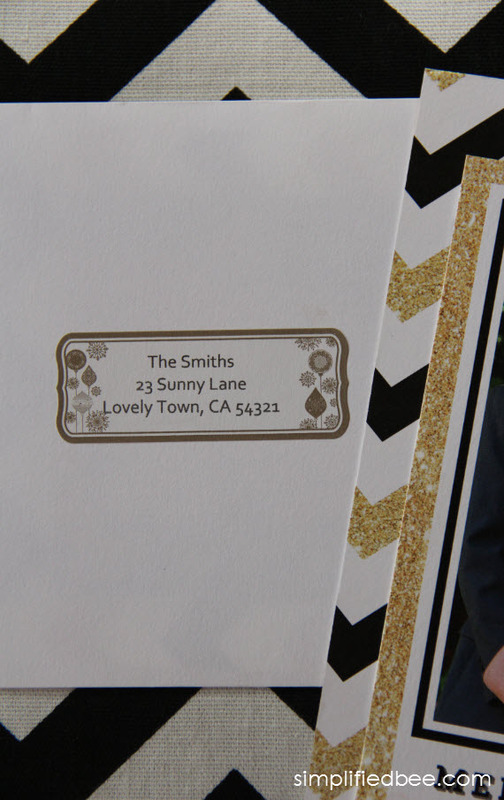 Also, be sure to check Simplified Bee’s tips on reducing and organizing snail mail. Clutter is visually exhausting. The biggest clutter issue for many of my clients is paper. Piles and piles of paper create a negative atmosphere in any space and can become overwhelming. Want to reduce the amount of mail you receive? Save paper, time and postage by paying bills online. It also will help you keep track of the bills. It’s easy, it’s efficient, and it’s earth-friendly. I hate junk mail. There are several great resources available to help you reduce unwanted junk mail. Save a tree and check out, Catalog Choice, Privacy Rights Clearinghouse, or TreeHugger. Set-up a “one-stop-sorting” workstation for all incoming mail. Make sure you have a surface you can work on. The kitchen counter works for me! The station should include a small file holder or box, a letter-opener, pair of scissors and— a must— recycling bin, shredder or waste basket close at hand. 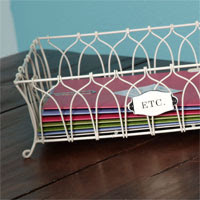 This vintage wire tray is simply charming. Found at See Jane Run. 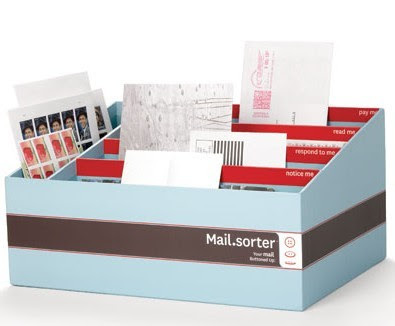 Love this aqua, brown and red mail sorter. So practical, yet fashionable. This folder box by Semikolon has a classic European design and bold color palette making it a perfect choice for brightening up your workstation. This sweet chartreuse file folder holder found at Paper Source is beautifully constructed in an elegant blossom linen bookcloth and includes six coordinating file folders. 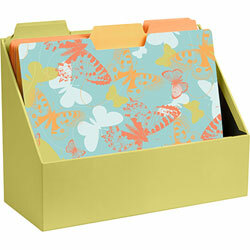 Love the butterfly folder! • To Act – rsvp to an event, make a call, etc. 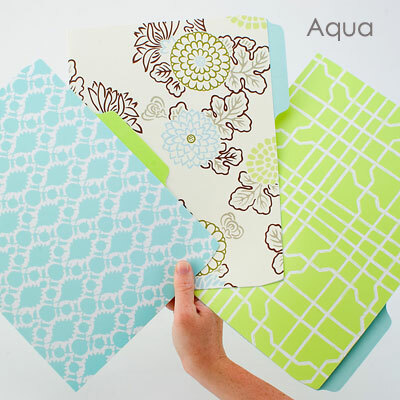 Thomas Paul delivers again… Love these fun file folders in yummy colors and vintage prints. 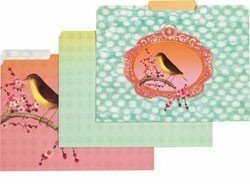 These Simple Pink folders by Papaya feature soft hues and a sweet bird on a cherry blossom branch and can be purchased at Paper Source. 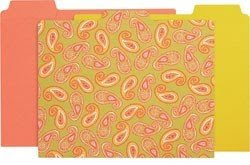 These chic file folders feature a Rajasthani Paisley pattern found in Indian art. I also love the playful color combinations of chartreuse, curry, papaya and red. Now go tackle that pile of mail with a sense of style.